The world of bitcoin is reeling from a seismic shock this week as a new version of the crypto-currency launches a bid for dominance. The conflict, which users characterize as a “hard fork” in bitcoin’s winding path, raises fundamental questions about the project, even as the technology gains new adherents in the global finance industry. The newcomer, bitcoin XT, is hoping to usurp the throne of the original bitcoin protocol, known as bitcoin core. And while the new version addresses issues of sustainability that many agree are crucial to bitcoin’s survival, the contentious nature of its rollout highlights the difficulties in governing a tool whose adherents steadfastly reject formal governance. The two developers behind the gambit -- Mike Hearn and Gavin Andresen -- are aiming to capture 75 percent of the bitcoin market by mid-January. 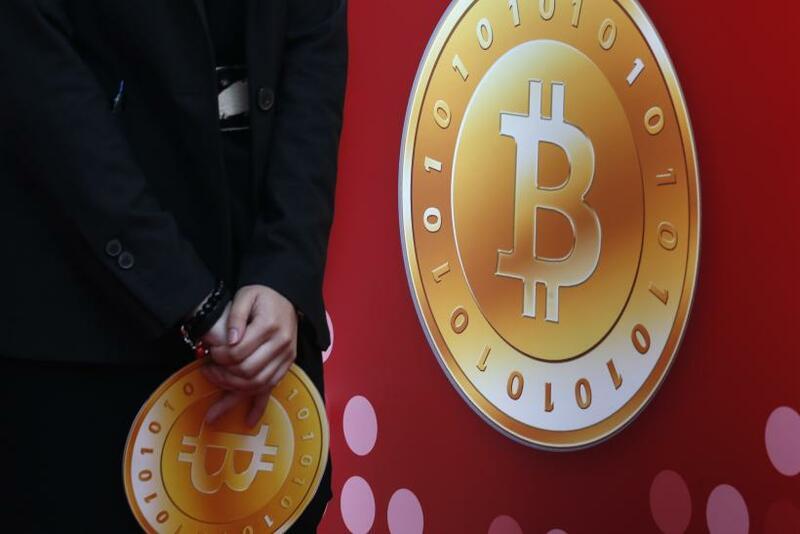 But if they fall short, it could create a gaping divide among devotees of the digital currency. The rift comes during a banner year for investment in digital currencies. Industry website CoinDesk has tracked $400 million in venture-capital investments into bitcoin-related firms in 2015 alone. Wall Street mainstays have dived into the technology. Goldman Sachs this year participated in a $50 million funding round for money transfer app Circle, while Nasdaq has moved to become the first major exchange to utilize the powerful blockchain technology underlying bitcoin to trade securities. But bitcoin XT could pose problems for some of these startups, whose infrastructure was built around a bitcoin that may become obsolete. Profit calculations depend, in part, on the size of blocks and processing power required to verify and transmit them. Gil Luria, a digital currency industry analyst with Wedbush Securities, doesn't think bitcoin XT will win overwhelming support. But the effort, he said, marks a turning point. The dust-up goes back to bitcoin’s early days, when developers were deciding how batches of digital transactions would be recorded. Every bitcoin transaction is packaged with other transactions into a unit called a block, which can be thought of like a mail-carrier’s bag. Independent operators called miners carry out the legwork of assembling and verifying blocks in exchange for bitcoins -- 25 bitcoins per block. Once complete, blocks are added to the blockchain, a public master ledger of every transaction to date, which serves as bitcoin’s backbone. Early on, the size of an individual block was limited to 1 megabyte -- less than half the size of an average mp3. As bitcoin has grown in popularity, however, the flow of transactions has strained at that limit. Routine money transfers have encountered logjams lasting hours. As they await confirmation from the crowd, transactions languish and the possibility of malfeasance increases. 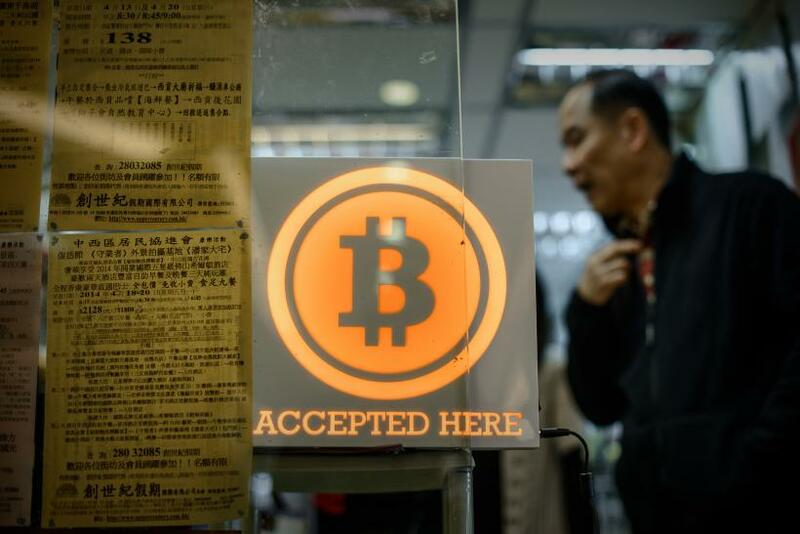 If bitcoin continues to grow, some worry the digital currency will reach a hard limit. “Bitcoin will crash,” Hearn worries. The mail-carriers’ bags will burst at the seams and grinding delays will invite fraud. A large part of the bitcoin user base agrees this size limit must either be increased or otherwise circumvented. But consensus on how to move forward has been hard to come by. “The whole point is that no one person has all the power,” said Eli Dourado, a fellow at the free-market Mercatus Center who studies digital currencies. But that lack of centralized power, Dourado said, means no one can stop proposals that directly challenge the existing system. “The ability to do a hard fork in the currency is just another side of the coin,” Dourado said. "The Potential To Destroy Bitcoin "
In June, Hearn and Andresen announced a fix. Their update, bitcoin XT, would expand the block size to 8 megabytes and add a few other tweaks. Bitcoin heavyweights, Hearn and Andresen hoped to rally the community around their proposal. They haven’t been so lucky. Given bitcoin’s diffuse structure, no one person can dictate changes in its architecture. New versions of bitcoin must be adopted en masse for them to have a fighting chance. So Andresen and Hearn have embarked on a monthslong campaign to win hearts and minds over to XT. The fight hasn’t always been pretty as bitcoin’s fervent community has sparred over both the technical details of the plan and the politics of its implementation. At times, the scrapping has grown intense: Reddit’s bitcoin forum apparently barred discussion of XT last weekend. Core developers of bitcoin -- members of the five-person team that keep it running on a volunteer and somewhat ad hoc basis that includes Andresen -- are hopelessly split on the issue. Some worry presenting users and miners with a stark binary isn’t necessarily a winning strategy. “A hardfork is hard to do at the best of times (everyone needs to upgrade their software! ), and simply not possible if almost the entire technical community disagrees with you,” Wladimir van der Laan, another core developer, wrote in June. Others fear increasing the block size to 8 megabytes has the potential to further centralize the currency, a development akin to tyrannical dictatorship to authority-averse bitcoin users. Blocks have to be verified by so-called full nodes, a patchwork of some 6,300 computers worldwide that ensure the same coin is never spent twice. But the number of nodes has dwindled over the years, and increasing the block size eightfold might further dissuade volunteers from donating valuable processing power to the effort, concentrating nodes in fewer hands. Hearn turns the argument on its head. “It’s the lack of a fork that threatens the viability of bitcoin in the future,” he said. Users have nearly five months to make the switch before either the 75 percent threshold is reached and non-XT bitcoins lose their value, or the XT project is abandoned. “If the fork 'fails' in the sense of just not getting enough support, nothing happens to bitcoin,” Hearn explained. So far, more than 10 percent of bitcoin nodes have taken up XT, an increase from about 1.5 percent from the weekend when the new version officially was launched.